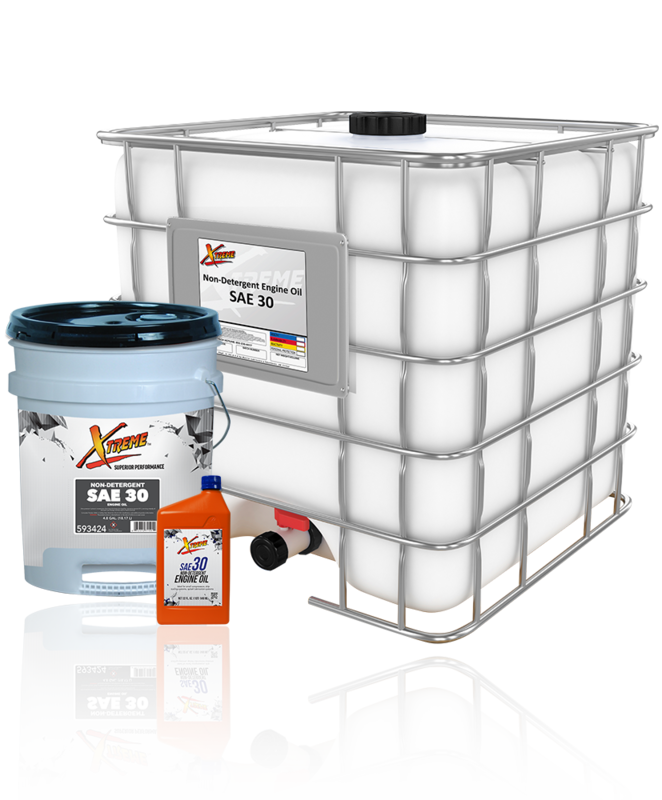 Xtreme™ Non-Detergent Engine Oils are manufactured from highly refined, hydrotreated base oils selected for their clarity, thermal stability, and resistance to oxidation and combined with anti-foam additives to provide quality protection. Xtreme Non Detergent Engine Oils are ideal for small compressors, drip oiling systems, splash lubrication systems, wet sump oiling systems, and general farm and industrial lubrication as well as older vehicles where the need for economical lubricants is more important than long-term anti-wear protection. Xtreme Non-Detergent Engine Oil comes in the following viscosities: SAE 10, SAE 20, SAE 30.